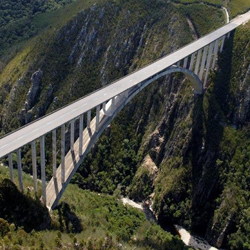 Travel with us and discover the Western Cape province of South Africa. 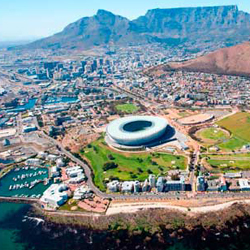 Drenched in natural beauty, many of the most enticing attractions are focussed around the capital, Cape Town, which sits in one of the world's most seductive settings - between mountains and the sea. Two of South Africa's iconic landmarks, Table Mountain and Cape Point, as well as the southernmost point of the African continent, Cape Agulhas, where the mighty Indian and Atlantic Oceans meet are high up on our to-do list. Along the coast, whales swim in the cool, clear waters and you can watch penguins waddle along the sandy white beaches. From Cape Town, we will ride through charming small towns and beautiful countryside all along the coast to explore the Garden Route. Most of the trip (almost 70%) will be on tar/paved roads except for shorter sections of dirt to the lodges/overnight accommodation and of course a few gravel roads to visit interesting places and towns and see some of the lesser-travelled gems hidden in this amazing part of South Africa. Expect a true African adventure. Sound basic to intermediate riding skills are required for this trip. Pillions are welcome to join, as long as they are comfortable riding with the rider off-road and over longer distances. A maximum of 12 motorcycles per group, to make sure we have a great trip and a more unique experience. Motorcycle rental can be arranged at an additional cost. We have a fleet of BMW F800GS's and R1200GS LC's available. Expected Weather: In August, you can expect the average temperature to be 13°C (55°F). This balmy temperature is great for exploring the Western Cape. The average daily high temperature will reach approximately 18°C (64°F). Upon your arrival at the Cape Town International Airport, you will be welcomed by your tour guide and transferred to your hotel where you can settle, relax and have a light lunch. 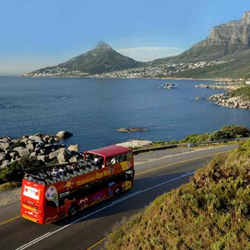 If not too exhausted, you can explore the city centre on foot, go shopping at the V&A Waterfront or take a guided tour on one of the City’s Hop-on-Hop-off busses to discover and learn more about Cape Town, one of the most beautiful cities in the world. In the evening, we will have dinner, where you will meet your fellow riders, get a tour briefing and finding out more about the route and what is laying ahead the next 2 weeks. After an early breakfast at the hotel, we shuttle to the depot, where we will take delivery of our motorcycles. 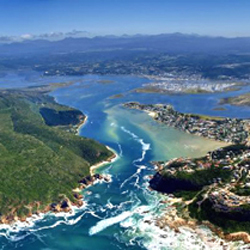 From here we travel towards the Cape Peninsula which take us through Fish Hoek and toward Cape Point. 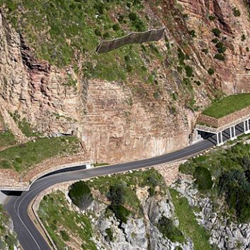 After a light lunch in Scarborough, we take a ride towards Hout Bay via the famous Chapman’s Peak drive. If you are a keen photographer, this is definitely the time to have your camera ready. We make sure that we have enough stops for you to capture all the special moments. As a last stop the afternoon, we admire the views from Signal Hill before we head back to our hotel. Tonight we do a little bit of "pub crawling" for the "young at hearts" to show you the lively after work sundowner life of Cape Town, and then have dinner at a special restaurant in town to end an amazing day. After breakfast we depart, taking the backroads towards Wellington over Bainskloof pass. We stop to enjoy a cup of coffee in the scenic town of Tulbach. From here our route will take us over Michel’s Pass towards Ceres where we will enjoy a light lunch. 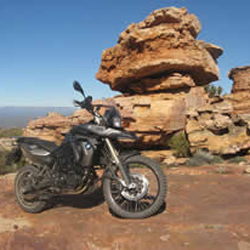 We ride the amazing Gydo Pass and head into the Cederberg area where we will overnight. Today we are travelling towards the Tankwa Karoo via the Katbakkies Pass. Katbakkies is a fairly short (recently tarred - 1999) pass over the Skurweberge mountains, with some spectacular views over the barren landscape of the area. We stop at the very famous, Tankwa Farmstall -literally in the middle of nowhere - to enjoy something to drink. From here we continue to Montagu via the Ouberg Pass. 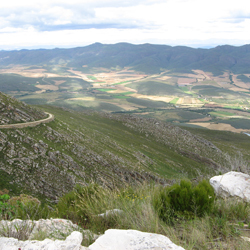 The Ouberg Pass is a highly rated and impressive gravel road pass with an altitude gain of 820 meters over 10.4km. The steepest parts are 1:6, which are indeed very steep! We overnight in the quaint town of Montagu - Gateway to the Klein Karoo. Our route for today takes us towards Barrydale via Swellendam and then over the Tradouws Pass. After Barrydale we are heading to Calitzdorp over the Huisrivier pass. This exceptionaly scenic pass is 13.4km long, with 39 bends, many sharp corners and curves packed into that distance, which requires attentive riding. From Calitzdorp we take another picturesque road to arrive in Oudshoorn, ostrich mecca of South Africa. With so many interesting things to do in Oudtshoorn, we have a rest day on day 6. 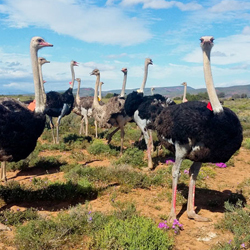 Visit one of the many ostrich farms, do some shopping, visit a museum, explore the Cango Caves, or just relax at the lodge. After a nice rest and breakfast, we ride over the super scenic Swartberg Pass heading into Gamkaskloof (Die Hel). " Die Hel", winding through 36.6km of rugged mountain terrain, is one of the most iconic gravel roads in South Africa. It is a long and winding road with 201 bends, curves and corners. The beautiful geology, flora and fauna and the lush Gamkaskloof at the bottom makes this an absolute worthwhile ride. After a light lunch down in "Die Hel" we head back to arrive at our next overnight destination, Prince Albert - a charming Karoo Village. Today we ride through the spectacularly beautiful Meiringspoort to stop for coffee in De Rust. 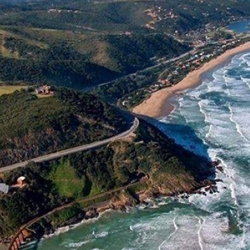 Then off to Uniondale over Prince Alfred’s Pass into Knysna which is our final destination for the day. Another stunning day awaits us. From Knysna we travel to Nature’s Valley and then the Bloukrans pass which makes for another day of fantastic riding and ample photo opportunities. We sleep in Jeffreysbay, famous for its Blue Flag Beach, surfing opportunities, abundant seashells and great seafood. Today we are turning our motorcycles and starting heading back towards Cape Town. 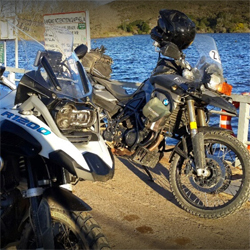 We ride via the Langkloof and Montagu Passes to Wilderness, where we will overnight. Wilderness is just too beautiful to experience in one day. We take a rest day for you to explore the area, visit the beach or simply take some time out and relax or read a book at the lodge. After breakfast we head out on the N2 towards Heidelberg. We ride down a beautiful gravel road toward the Malgas Ferry. This hand-operated pontoon ferry is the last one of its kind in South Africa - and transports us across the Breede River. From the Breede River we move toward Cape Agulhas, Southernmost Tip of Africa. 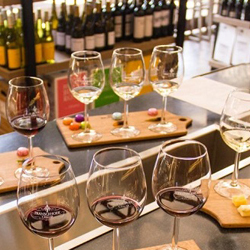 Our destination for the day is Franschhoek, home of some of the most well-known and oldest wine farms in South Africa. We are travelling via Hermanus world known for the seasonal whale watching and then onto the Betty’s Bay - Rooiels road towards Gordons Bay. 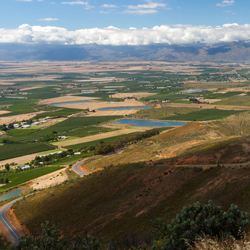 From here we are heading towards Villiersdorp to enjoy Franshoek pass with its breath-taking scenery to arrive safely in Franschhoek to enjoy a quality glass of wine with supper. Today is our last day of riding. 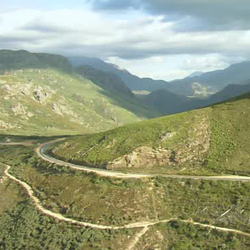 We ride back down Franschhoek Pass, South Africa's first properly engineered road, to Villiersdorp into Worcester. 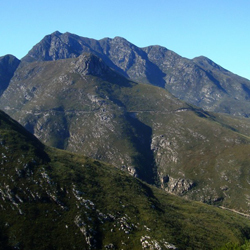 We then head towards Cape Town over the Du Toits Kloof Pass, named after Francois Du Toit, a 17th-century Huguenot pioneer who settled in the foothills. The pass was initially only an animal track where a road was built around the time of World War II. In the afternoon we return the bikes and head back to the hotel. We have our final dinner in Camps Bay tonight to reflect about our experiences on this tour. All good things unfortunately come to an end. This morning after a sumpious breakfast, we will say our final goodbyes and the shuttle will take you to the Cape Town International Airport for your return flight home.